The shadow NI Secretary has said the government must take a longer-term approach in its Brexit customs proposals to avoid a hard Irish border. Theresa May’s cabinet agreed on a new proposal on Thursday. Ministers signed off on the “backstop” that would see the UK match EU tariffs after 2020, if there is no deal on their preferred customs arrangements. 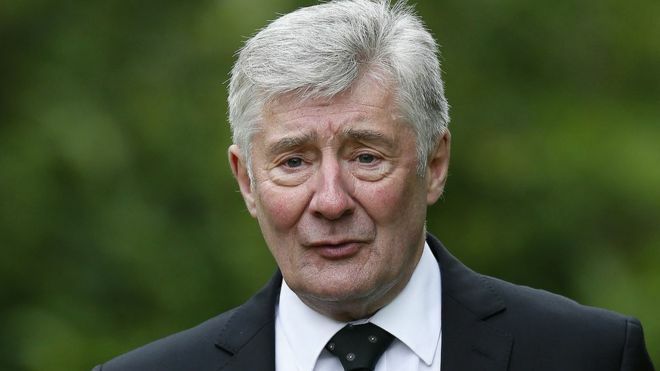 However, Labour’s Tony Lloyd said that was only a temporary continuation. He added that there should be a fresh general election if the government cannot agree a permanent deal. “If I was an investor looking to invest in my own constituency here in Rochdale, or for that matter anywhere across Northern Ireland, I’d want a bit more certainty about how long this is going to last,” he said. He added: “We would oppose a hard border, because it is perfectly possible negotiate with the EU round no hard border keeping the whole of the UK as one within this. Government sources have told the BBC’s political editor, Laura Kuenssberg, that the newly-agreed proposal was very unlikely to be needed – as they are confident a customs deal that avoids bringing back a hard border can be agreed with the EU. If the UK stayed in a customs union with the EU it would help solve customs issues across the Irish border, but would not necessarily address issues related to the single market, which the UK plans to leave.